Trieste is one of the most beautiful – and unsung, according to Lonely Planet – cities in the world. A Central European city, where you will breathe a multicultural atmosphere, which will charm you with historic cafés, art, heterogeneous architecture and enchanting sea. «The Triestini embrace life with a passion that is palpable and infectious», says The Telegraph. Find out more on Discover Trieste or on Turismo FVG. BY CAR. Trieste lays in the very North East of Italy, at the end of the A4 Torino-Trieste highway. After the paytoll in Monfalcone/Lisert, take the Sistiana exit, then proceed on route SS14, a panoramic drive on the sea gulf which lead directly into town. Follow the main street until piazza Duca degli Abruzzi, where you can find Molo 4 and its wide carpark (one of the cheapest in Trieste). Geographical coordinates are 45.65424815059826, 13.767070770263672. BY TRAIN. Trieste is connected to main national and international railway routes through Venezia, Udine and Villa Opicina. The train station, Trieste Centrale, is less than a 10 minutes walk from the location of the conference, on the way to central Piazza Unità d’Italia. BY AIRPLANE. The closest airport is Trieste Airport (TRS), which is 40 km far from the city center, with daily direct flights to Rome, Milan Linate, Naples, Munich, London Stansted. It is connected to the city with trains (Venezia-Trieste line), bus (line 51) or taxy (~60€ fare). The closest international hub is Venezia Marco Polo (VCE), 150 km far from Trieste. 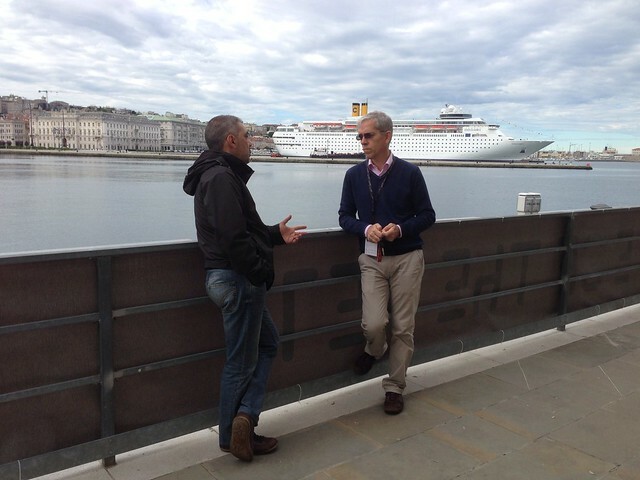 We are ready to answer to tons of questions, if it could help you to enjoy your SotN experience in Trieste. So, please feel free to address us your doubts or requests (mail@sotn.it).